1. Place a steamer basket in a large saucepan, add 1 inch of water and bring to a boil. 2. Add asparagus; cover and steam for 3 minutes. 3. Uncover, remove from the heat and set aside. 4. Whisk broth and 2 teaspoons flour in a small bowl until smooth. Set aside. 5. Place the remaining 1/4 cup flour in a shallow dish. 6. Sprinkle chicken with pepper and dredge both sides in the flour, shaking off any excess. 7. Heat oil in a large skillet over medium heat. 8. Add the chicken and cook until golden brown, 3 to 4 minutes per side, adjusting heat as needed to prevent scorching. 9. Transfer to a plate and cover to keep warm. 10. Add shallot, wine and the reserved broth mixture to the pan; cook over medium heat, stirring, until thickened, about 2 minutes. 11. Reduce heat to medium-low; stir in sour cream, tarragon, lemon juice and the reserved asparagus until combined. 12. Return the chicken to the pan and turn to coat with the sauce. 13. 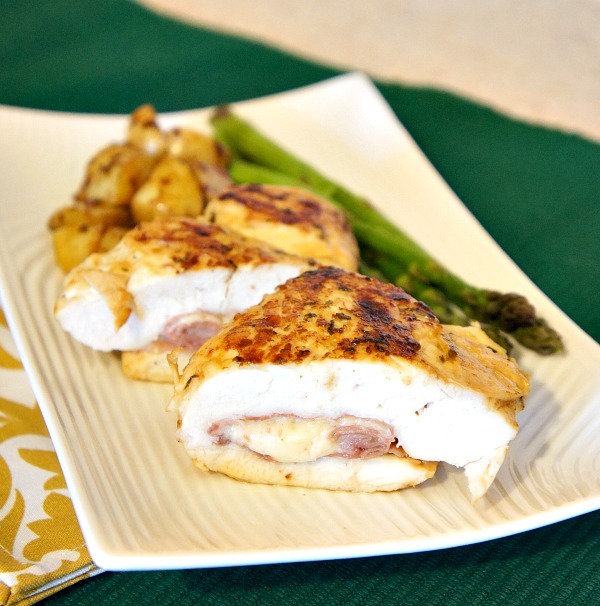 Sprinkle cheese on top of each piece of chicken, cover and continue cooking until the cheese is melted, about 2 minutes. Note: You can substitue the white wine in recipe for a non-alcoholic wine or remove it entirely. Also, forgo cheese if it conflicts with your renal or diabetic diet.